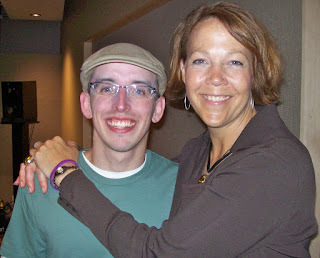 In August of 2008, I was at the University of Minnesota for a regular clinic appointment when I noticed a printout sitting on the desk asking if any children or adults would like to tell their stories on a CF podcast. It seemed like a no-brainer for me, since speaking about my life was second nature. I hit all the major points - family, treatments, health, career, and hobbies. During the interview I mentioned that I enjoyed doing karaoke which prompted a singing request. I honestly was not prepared for it, so I sung something on the fly. I think it was "In The Still Of The Night". 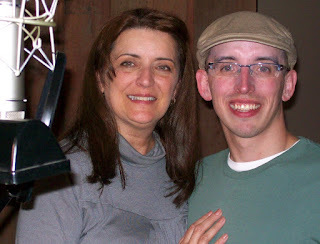 To make a long story short, Bonnie, the interactive producer for CFvoice, enjoyed my singing enough to mention a possible future project that involved people with CF singing. I said I was interested and would look forward to any future opportunities. Months had passed before I received a call from Bonnie who greeted me warmly and gave me the information about this event. In April 2007, a young man named Matt Scales, a singer/songwriter in London, England, lost his battle with Cystic Fibrosis at the age of 27. He was in the middle of recording his first solo album, which included a song he wrote entitled "Breathe" about his life with CF. Bonnie and her staff at CFvoice happened to come across this website for Matt and his music. She was immediately impressed with his talent and sent an email to his producer to arrange a performance for CF Voice. 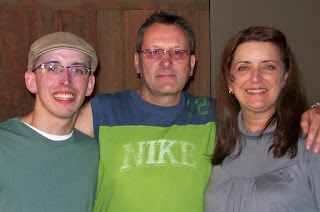 It broke her heart to hear that Matt had passed away after fighting CF for 27 years. 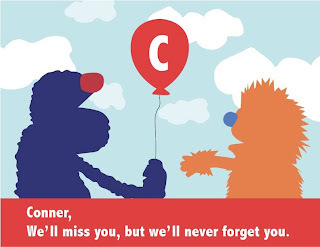 A few months later Bonnie, inspired by Matt's music, suggested a tribute to Matt by having a few different people with CF from across America sing his song. His family agreed and after months of jumping through a few hoops and climbing walls, the "Breathe" Event was a go. All she needed was a few singers. I had no idea how important this was when she initially mentioned this "singing event", so I was a little taken back. I am not a professional singer. I can carry a tune and enjoy performing, but this is far beyond a dive bar karaoke night. This was paying tribute to a professional by flying out to Seattle and performing a piece of his soul in a real recording studio! What if I screwed this up? What if I couldn't live up to their expectations? I went to his website and listened to the song. IT WAS AWESOME! I thought I could hit a lot of the notes, but still wasn't sure until Carly heard it and had no reservations at all. She told me to go for it. So with the encouragement of my wife I signed on for the project. 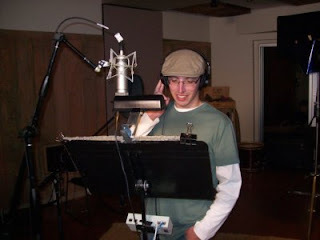 May 27, 2009 would be my first time in a real recording studio. Carly had to work during that time, so I invited my mom to tag along. It had been so long since we had been on a trip that didn't involve the doctor. It was nice to be able to give her a gift back for all the sacrifices she made for me. 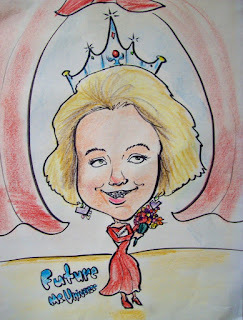 If there was anyone who would know what this event was supposed to be, it was was Mom. I arrived in Seattle the day before the studio session. I was so nervous leading up to it...I kept listening to the song to get a feel for how I wanted to sing it. It was important to me that I not copy Matt's style. All my worries went away the moment I stepped into the Clatter&Din Studio and I finally met Bonnie in person, as well CF Voice crew, Ellen and Joel. They were so gracious and excited to be there. We headed upstairs to our studio where I met John "Oz" Osmund - Matt's producer and dear friend - and Trevor Scales, Matt's father. They flew all the way from London to oversee the project. 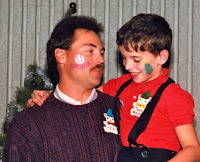 It was so incredibly brave of them to open up to something so difficult, but they knew Matt would love it so the decision was, as Trevor put it, "hard in a good way." Surprisingly, I wasn't nervous at all during the studio session. Maybe it was because I've sung and spoken in front of people for years or maybe the promotional work I've done for the Cystic Fibrosis Foundation. Perhaps my sister was watching over me and telling me to enjoy the moment. Whatever it was, everything felt right because I had so much fun that day. We exchanged ideas for the song and I tried singing it in a few different styles. The takes went alright, but they weren't quite what we were looking for. Then I attempted a few straight up tracks with Matt's original arrangement. Apparently, I sounded so close to Matt on a few occasions that it became emotionally overwhelming for everyone in studio. It was that "elephant in the room" that no one mentioned until after I started singing. Oz and Trevor didn't want to put any pressure on me before I sang, but they knew how hard this day was going to be. I was happy that I met their expectations. The best complement I received was from Oz, who said I was outstanding and have all the things it takes to be successful in the music business and that Matt would be so happy with how I performed his song. At the end of recording, Trevor and I nearly crushed each other in a bear hug where I whispered to him that Matt was okay and I have Angela looking out for him. I spent time with Oz and Trevor, who both had a million entertaining stories about life in general. Oz has been in the music business for over 20 years and has worked with Bad Company, Ted Nugent, Oasis, and many more. I would share some of the stories on here, but I cannot do those tales justice. An enigma and wild man to say the least. Trevor was a cop for 30 years in London and continues collecting stories as a cab driver. Eventually we got to talking about Matt and Trevor was kind enough to share some stories. I found the parallels between us amazing. We both hated high school, loved music - especially Billy Joel, were married in 2006, adore our wives, and have bright green rooms in our homes. It made the moment that much better. After an emotional day, I headed off to bed. I was so proud of myself. I did what I set out to do: I paid Matt the respect he deserved. It was an exceptional moment in my life and I am blessed and honored to be a part of this amazing event. It is one of the most important things I will ever do in my entire life. CF Voice.com - an online community for people of all ages living with Cystic Fibrosis and the producers/magic makers of The Breathe Event. Thank you to Bonnie, Ellen, and Joel at CFvoice for asking me to be a part of this. You are fantastic people and I am blessed to know you. To Trevor and Oz - You are both awesome. I can't wait until we see each other again. Hopefully on your side of the pond. Love you both. To Rose and Tess - I am not worthy to work with such fantastic singers. You are both so talented and I see nothing but success and fantabulous things in your future. I hope we continue to build a great friendship. Lots of love to both of you. 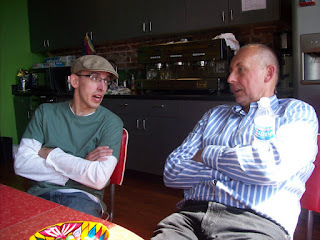 From the moment I met "Forever Twin" Tom "Bruno" Brunansky, I knew there was something special about him. 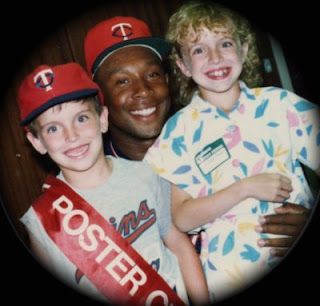 Back in 1985, Angela and I were the poster kids for the Cystic Fibrosis Foundation and were lucky enough to meet a few celebrities and athletes during our tenure. While the other athletes did the normal "meet and greet" (which I am not sneezing at, believe me), Bruno took it to the next level. He would always give us big bear hugs, ask us how school was, send Angela the occasional letter from the road, and call on birthdays when he had a moment during the season. Not because he felt obligated to, but because he really cared about us. As the years went by, our relationship with Bruno grew closer and closer. 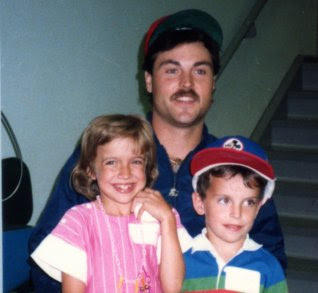 And in 1987, when the Twins made it to their first World Series since 1965, we attended Game 6 to cheer them on. We wrote Bruno good luck letters that we gave to his fiancee (now his beautiful wife) to ensure their delivery. 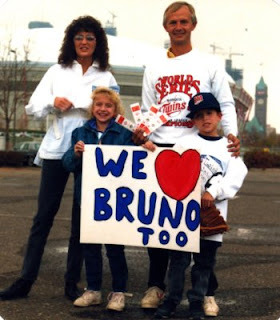 We also made a sign that said "We Love Bruno Too" which was an homage to her sign "I Love Bruno" that she took to every game. It was an incredible night that Bruno had a huge part in. He scored some key runs that were cushioned by Kent Hrbek's Grand Slam! I recall watching TV the next morning and seeing a picture of Angela and I in his locker when he was being interviewed after the game. You don't do those things unless you love somebody. That was worth more than the World Series to us. Even after he was traded to the Cardinals in 1988 (don't even get me started on that debacle), Bruno still made a point to check in with us from time to time. Always a solid ball player, he was a journey man throughout the rest of his career spending time in St. Louis, Boston, and Milwaukee. No matter who he was playing for he always chatted with us whenever he made it back to town. The last time I saw him play a game was was just prior to the baseball strike in 1993. He was on the Milwaukee Brewers squad and was in town to battle the Twins. I caught his attention from the stands before the game started and we had a brief conversation. Before he left he threw me his Brewers hat which made me the envy of every other kid in the stands. I've been lucky enough to stay in contact with him over the years through catch up phone calls and emails. During one of our more recent catch up moments Bruno told me he was selected as a player on the All-Metrodome Team and would be in Minneapolis for the final home weekend. Luckily, our friends Chad and Kari came across some extra tickets to the second to last game which was a "meet and greet" with former Twins, so off to the Dome we went. Prior to seeing Bruno, my wife said I was very giddy. I flat out denied it at first, but I have to admit that every time I get to see him I turn into that six year old boy again. And guess what happened when I saw him? I still got that big bear hug! It's very fitting that Bruno and I were able to come full circle at the final weekend of Twins regular season baseball in the Metrodome. 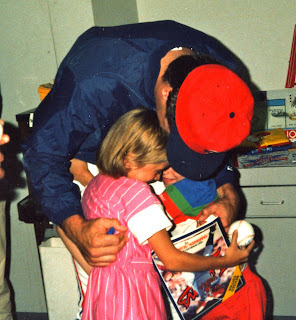 I know Angie was smiling down from heaven as her all-time favorite baseball player and her brother were remembering all the good times and her sweet spirit. Tom Brunansky is living proof that there are athletes who realize the wonderful gift they've been given and work hard to make the most of it. He never let fame go to his head while he was in "the show" and continues to pay his gift forward to everyone he meets. Thank you Tom for being a hard working ball player and a Minnesota fan favorite, but more importantly...a great man. I love you Bruno and Angie does, too. A thought occurred to me while I was watching my final game. I realized that another small piece of Angela was disappearing from this world. The Dome was a special place that housed a lot of significant memories with her. I would never be able to point down to the seats we sat in with my family all those years. I would never be able to say I sat right over there for Game 6 of the '87 or '91 World Series. I would never be able to walk the corridor of the Metrodome, with it's stale sauerkraut and onion aroma, in my Twins gear ever again. My emotion finally overwhelmed me on Sunday when we started looking though the old pictures of us with Bruno, Bert, and Kirby. I just started bawling out of nowhere. I must have needed to let that out. I'm sure I'm not the only one whose heart is aching right now.